The charming, seaside community of Solana Beach is nestled along the northern coast of San Diego County, and is approximately a 30 minute drive from downtown San Diego. Its main access routes include Interstate 5, Highway 101, Lomas Santa Fe Drive, and Via de la Valle. The city is home to a vibrant train station that serves both Amtrak and the Coaster, one of only three in San Diego County. The city lives up to its name with temperatures that average 62 degrees in the wintertime and 77 degrees in the summertime. It offers 1.7 miles of coastline for swimming and surfing. Most days you will see locals drop by to watch the sun set at the award winning Fletcher Cove Park. 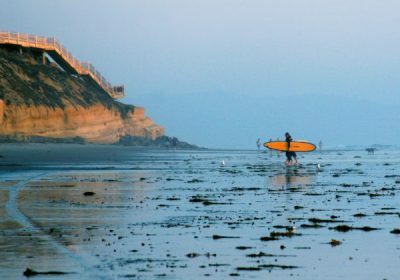 Solana Beach is a favorite destination for those looking to enjoy the beach, eclectic shops, great dining, golfing, nightlife, and nearby hiking.